Congratulations and huge thanks to Julien Mghabghab who successfully ran the Richmond Half Marathon on Sunday 16th September and raised over £1000 in support of Headway West London. This was a wonderful achievement and the money raised provides a great contribution in helping to support the work we do. Well done Julian and thank you! You can donate to Julian's appeal here. Headway West London at Chelsea Foundation FC! Everyone's got the World Cup on the brain, and we have too! Chelsea Foundation FC and Headway West London are starting an exciting new collaboration designed to get you up & about, and active. 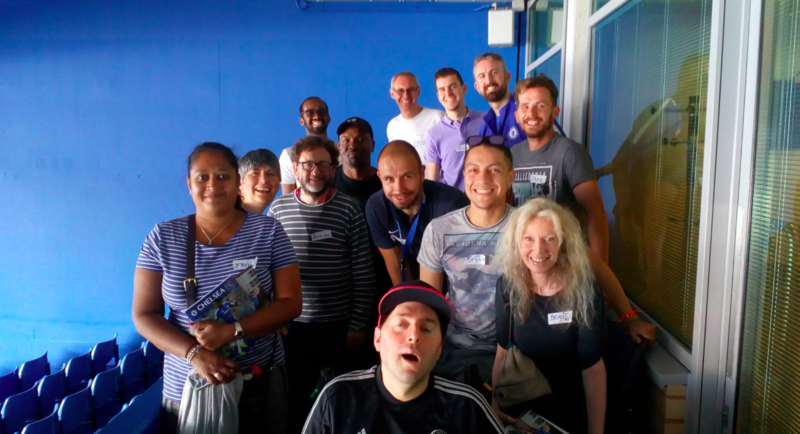 Exercise is great for brain recovery and the team at Chelsea have got lots of experience making sport engaging and accessible for survivors of brain injuries.